1 A None No Power Seat 1 A is a First Class suite. This seat features excellent privacy. This seat has extra storage space in a locker for coats, bags, and other personal items. 1 E None No Power Seat 1 E is a First Class suite. This seat has extra storage space in a locker for coats, bags, and other personal items. This seat is excellent if traveling with a companion. 1 F None No Power Seat 1 F is a First Class suite, however, the proximity to the galley might be bothersome. This seat has extra storage space in a locker for coats, bags, and other personal items. This seat is excellent if traveling with a companion. 1 K None No Power Seat 1 K is a First Class suite, however, the proximity to the galley might be bothersome. 10 E None No Power Seat 10 E is a standard rear-facing Club World seat. 11 A None No Power Seat 11 A is a standard rear-facing Club World seat. 11 E None No Power Seat 11 E is a standard rear-facing Club World seat. 11 F None No Power Seat 11 F is a standard forward-facing Club World seat. 11 K None No Power Seat 11 K is a standard rear-facing Club World seat. 12 A None No Power Seat 12 A is a standard rear-facing Club World seat. 12 B None No Power Seat 12 B is a standard forward-facing Club World seat. 12 D None No Power Seat 12 D is a standard forward-facing Club World seat. 12 E None No Power Seat 12 E is a standard rear-facing Club World seat. 12 F None No Power Seat 12 F is a standard forward-facing Club World seat. 12 J None No Power Seat 12 J is a standard forward-facing Club World seat. 12 K None No Power Seat 12 K is a standard rear-facing Club World seat. 13 A None No Power Seat 13 A is a standard rear-facing Club World seat. This seat features unrestricted aisle access. 13 B None No Power Seat 13 B is a standard forward-facing Club World seat. 13 D None No Power Seat 13 D is a standard forward-facing Club World seat. 13 E None No Power Seat 13 E is a standard rear-facing Club World seat. This seat features unrestricted aisle access. 13 F None No Power Seat 13 F is a standard forward-facing Club World seat. 13 J None No Power Seat 13 J is a standard forward-facing Club World seat. 13 K None No Power Seat 13 K is a standard rear-facing Club World seat. This seat features unrestricted aisle access. 16 A None No Power Seat 16 A is a standard World Traveller Plus seat. This seat does not have floor storage during take off and landing. 16 B None No Power Seat 16 B is a standard World Traveller Plus seat. This seat does not have floor storage during take off and landing. 16 D None No Power Seat 16 D is a standard World Traveller Plus seat. This seat does not have floor storage during take off and landing. 16 E None No Power Seat 16 E is a standard World Traveller Plus seat. This seat does not have floor storage during take off and landing. 16 F None No Power Seat 16 F is a standard World Traveller Plus seat. This seat does not have floor storage during take off and landing. 16 J None No Power Seat 16 J is a standard World Traveller Plus seat. This seat does not have floor storage during take off and landing. 16 K None No Power Seat 16 K is a standard World Traveller Plus seat. This seat does not have floor storage during take off and landing. 17 A None No Power Seat 17 A is a standard World Traveller Plus seat. 17 B None No Power Seat 17 B is a standard World Traveller Plus seat. 17 D None No Power Seat 17 D is a standard World Traveller Plus seat. 17 E None No Power Seat 17 E is a standard World Traveller Plus seat. 17 F None No Power Seat 17 F is a standard World Traveller Plus seat. 17 J None No Power Seat 17 J is a standard World Traveller Plus seat. 17 K None No Power Seat 17 K is a standard World Traveller Plus seat. 18 A None No Power Seat 18 A is a standard World Traveller Plus seat. 18 B None No Power Seat 18 B is a standard World Traveller Plus seat. 18 D None No Power Seat 18 D is a standard World Traveller Plus seat. 18 E None No Power Seat 18 E is a standard World Traveller Plus seat. 18 F None No Power Seat 18 F is a standard World Traveller Plus seat. 18 J None No Power Seat 18 J is a standard World Traveller Plus seat. 18 K None No Power Seat 18 K is a standard World Traveller Plus seat. 19 A None No Power Seat 19 A is a standard World Traveller Plus seat. 19 B None No Power Seat 19 B is a standard World Traveller Plus seat. 19 D None No Power Seat 19 D is a standard World Traveller Plus seat. 19 E None No Power Seat 19 E is a standard World Traveller Plus seat. 19 F None No Power Seat 19 F is a standard World Traveller Plus seat. 19 J None No Power Seat 19 J is a standard World Traveller Plus seat. 19 K None No Power Seat 19 K is a standard World Traveller Plus seat. 2 A None No Power Seat 2 A is a First Class suite. This seat features excellent privacy. This seat has extra storage space in a locker for coats, bags, and other personal items. 2 E None No Power Seat 2 E is a First Class suite. This seat has extra storage space in a locker for coats, bags, and other personal items. This seat is excellent if traveling with a companion. 2 F None No Power Seat 2 F is a First Class suite. This seat has extra storage space in a locker for coats, bags, and other personal items. This seat is excellent if traveling with a companion. 2 K None No Power Seat 2 K is a First Class suite. This seat features excellent privacy. This seat has extra storage space in a locker for coats, bags, and other personal items. 20 A None No Power Seat 20 A is a standard World Traveller Plus seat. 20 B None No Power Seat 20 B is a standard World Traveller Plus seat. 20 D None No Power Seat 20 D is a standard World Traveller Plus seat, however, the proximity to the lavatories might be bothersome. 20 E None No Power Seat 20 E is a standard World Traveller Plus seat, however, the proximity to the lavatories might be bothersome. 20 F None No Power Seat 20 F is a standard World Traveller Plus seat, however, the proximity to the lavatories might be bothersome. 20 J None No Power Seat 20 J is a standard World Traveller Plus seat. 20 K None No Power Seat 20 K is a standard World Traveller Plus seat. 21 A None No Power Seat 21 A is a standard World Traveller Plus seat that is missing a window and the proximity to the lavatories might be bothersome. 21 B None No Power Seat 21 B is a standard World Traveller Plus seat, however, the proximity to the lavatories might be bothersome. 21 J None No Power Seat 21 J is a standard World Traveller Plus seat, however, the proximity to the lavatories might be bothersome. 21 K None No Power Seat 21 K is a standard World Traveller Plus seat that is missing a window and the proximity to the lavatories might be bothersome. 30 A None No Power Seat 30 A is a standard World Traveller seat that is missing a window and has extra legroom, however, the protrusion of the exit door might be bothersome. The tray table and video monitor are in the armrest making the armrest immovable and slightly reducing seat width. The close proximity to the lavatories might be bothersome. There is no floor storage during take-off and landing. Also, it might get cold by the exit during flight. 30 B None No Power Seat 30 B is a standard World Traveller seat that has extra legroom. The tray table and video monitor are in the armrest making the armrest immovable and slightly reducing seat width. The close proximity to the lavatories might be bothersome as passengers might congregate in this area. There is no floor storage during take off and landing. 30 C None No Power Seat 30 C is a standard World Traveller seat that has extra legroom. The tray table and video monitor are in the armrest making the armrest immovable and slightly reducing seat width. The close proximity to the lavatories might be bothersome as passengers might congregate in this area. There is no floor storage during take off and landing. 30 D None No Power Seat 30 D is a standard World Traveller seat that has extra legroom. The tray table and video monitor are in the armrest making the armrest immovable and slightly reducing seat width. The close proximity to the lavatories might be bothersome as passengers might congregate in this area. There is no floor storage during take off and landing. 30 E None No Power Seat 30 E is a standard World Traveller seat that has extra legroom. The tray table and video monitor are in the armrest making the armrest immovable and slightly reducing seat width. The close proximity to the lavatories might be bothersome as passengers might congregate in this area. There is no floor storage during take off and landing. 30 F None No Power Seat 30 F is a standard World Traveller seat that has extra legroom. The tray table and video monitor are in the armrest making the armrest immovable and slightly reducing seat width. The close proximity to the lavatories might be bothersome as passengers might congregate in this area. There is no floor storage during take off and landing. 30 H None No Power Seat 30 H is a standard World Traveller seat that has extra legroom. The tray table and video monitor are in the armrest making the armrest immovable and slightly reducing seat width. The close proximity to the lavatories might be bothersome as passengers might congregate in this area. There is no floor storage during take off and landing. 30 J None No Power Seat 30 J is a standard World Traveller seat that has extra legroom. The tray table and video monitor are in the armrest making the armrest immovable and slightly reducing seat width. The close proximity to the lavatories might be bothersome as passengers might congregate in this area. There is no floor storage during take off and landing. 30 K None No Power Seat 30 K is a standard World Traveller seat that is missing a window and has extra legroom, however, the protrusion of the exit door might be bothersome. The tray table and video monitor are in the armrest making the armrest immovable and slightly reducing seat width. The close proximity to the lavatories might be bothersome. There is no floor storage during take-off and landing. Also, it might get cold by the exit during flight. 38 C None No Power Seat 38 C is a standard World Traveller seat. 38 H None No Power Seat 38 H is a standard World Traveller seat. 38 J None No Power Seat 38 J is a standard World Traveller seat. 38 K None No Power Seat 38 K is a standard World Traveller seat. 39 A None No Power Seat 39 A is a standard World Traveller seat. 39 B None No Power Seat 39 B is a standard World Traveller seat. 39 C None No Power Seat 39 C is a standard World Traveller seat. 39 D None No Power Seat 39 D is a standard World Traveller seat. 39 E None No Power Seat 39 E is a standard World Traveller seat. 39 F None No Power Seat 39 F is a standard World Traveller seat. 39 H None No Power Seat 39 H is a standard World Traveller seat. 39 J None No Power Seat 39 J is a standard World Traveller seat. 39 K None No Power Seat 39 K is a standard World Traveller seat. 40 A None No Power Seat 40 A is a standard World Traveller seat. 40 B None No Power Seat 40 B is a standard World Traveller seat. 40 C None No Power Seat 40 C is a standard World Traveller seat. 40 D None No Power Seat 40 D is a standard World Traveller seat. 40 E None No Power Seat 40 E is a standard World Traveller seat. 40 F None No Power Seat 40 F is a standard World Traveller seat. 40 H None No Power Seat 40 H is a standard World Traveller seat. 40 J None No Power Seat 40 J is a standard World Traveller seat. 40 K None No Power Seat 40 K is a standard World Traveller seat. 41 A None No Power Seat 41 A is a standard World Traveller seat that is missing a window. 41 B None No Power Seat 41 B is a standard World Traveller seat. 41 C None No Power Seat 41 C is a standard World Traveller seat. 41 D None No Power Seat 41 D is a standard World Traveller seat. 41 E None No Power Seat 41 E is a standard World Traveller seat. 41 F None No Power Seat 41 F is a standard World Traveller seat. 41 H None No Power Seat 41 H is a standard World Traveller seat. 41 J None No Power Seat 41 J is a standard World Traveller seat. 41 K None No Power Seat 41 K is a standard World Traveller seat that is missing a window. 42 A None No Power Seat 42 A is a standard World Traveller seat. 42 B None No Power Seat 42 B is a standard World Traveller seat. 42 C None No Power Seat 42 C is a standard World Traveller seat. 42 D None No Power Seat 42 D is a standard World Traveller seat. 42 E None No Power Seat 42 E is a standard World Traveller seat. 42 F None No Power Seat 42 F is a standard World Traveller seat. 42 H None No Power Seat 42 H is a standard World Traveller seat. 42 J None No Power Seat 42 J is a standard World Traveller seat. 42 K None No Power Seat 42 K is a standard World Traveller seat. 43 B None No Power Seat 43 B is a standard World Traveller seat in the last row of the plane. This seat might have limited recline. The close proximity to the lavatory and galleys behind might be bothersome. As one of the only twosomes in the World Traveller cabin this seat might be ideal when traveling with a companion. 43 C None No Power Seat 43 C is a standard World Traveller seat in the last row of the plane. This seat might have limited recline. The close proximity to the lavatory and galleys behind might be bothersome. As one of the only twosomes in the World Traveller cabin this seat might be ideal when traveling with a companion. 43 D None No Power Seat 43 D is a standard World Traveller seat. 43 E None No Power Seat 43 E is a standard World Traveller seat. 43 F None No Power Seat 43 F is a standard World Traveller seat. 43 H None No Power Seat 43 H is a standard World Traveller seat in the last row of the plane. This seat might have limited recline. The close proximity to the lavatory and galleys behind might be bothersome. As one of the only twosomes in the World Traveller cabin this seat might be ideal when traveling with a companion. 43 J None No Power Seat 43 J is a standard World Traveller seat in the last row of the plane. This seat might have limited recline. The close proximity to the lavatory and galleys behind might be bothersome. As one of the only twosomes in the World Traveller cabin this seat might be ideal when traveling with a companion. 44 D None No Power Seat 44 D is a standard World Traveller seat in the last row of the plane. This seat might have limited recline and the proximity to the lavatories and galleys behind might be bothersome. 44 E None No Power Seat 44 E is a standard World Traveller seat in the last row of the plane. This seat might have limited recline and the proximity to the lavatories and galleys behind might be bothersome. 44 F None No Power Seat 44 F is a standard World Traveller seat in the last row of the plane. This seat might have limited recline and the proximity to the lavatories and galleys behind might be bothersome. 6 A None No Power Seat 6 A is a standard rear-facing Club World seat. 6 B None No Power Seat 6 B is a standard forward-facing Club World seat. This seat features no interruption from a passenger accessing the window seat. 6 D None No Power Seat 6 D is a standard forward-facing Club World seat. This seat features no interruption from a passenger accessing the middle seat. 6 E None No Power Seat 6 E is a standard rear-facing Club World seat. 6 F None No Power Seat 6 F is a standard forward-facing Club World seat. This seat features no interruption from a passenger accessing the middle seat. 6 J None No Power Seat 6 J is a standard forward-facing Club World seat. This seat features no interruption from a passenger accessing the window seat. 6 K None No Power Seat 6 K is a standard rear-facing Club World seat. 7 A None No Power Seat 7 A is a standard rear-facing Club World seat. This seat features unrestricted aisle access. 7 B None No Power Seat 7 B is a standard forward-facing Club World seat, however, the proximity to the lavatory and galleys might be bothersome. 7 D None No Power Seat 7 D is a standard Club World seat, however, the proximity to the lavatory and galleys may be bothersome. 7 E None No Power Seat 7 E is a standard rear-facing Club World seat. This seat features unrestricted aisle access. 7 F None No Power Seat 7 F is a standard Club World seat, however, the proximity to the lavatory and galleys may be bothersome. 7 J None No Power Seat 7 J is a standard Club World seat, however, the proximity to the lavatory and galleys may be bothersome. 7 K None No Power Seat 7 K is a standard rear-facing Club World seat. This seat features unrestricted aisle access. This aircraft features AVOD (Audio Video on Demand) at every seat with 120 CD's and several radio programs, including the BBC. This aircraft features AVOD (Audio Video on Demand) at every seat with a wide variety of movies, television and short entertainment programs. Enhanced earphones are provided in First, Club World and World Traveller Plus. Headphones are also complimentary in World Traveller. All seats have a 110V AC power port socket, which accept UK or US plugs. USB ports are also available at each seat. The Boeing 787-9 is a mid-size, dual aisle, twin engine jet and Boeing's most fuel efficient aircraft to date - 20% more fuel efficient than the similar sized commercial jets it is designed to replace. Composite materials make up 50% of the primary structure, including the fuselage and wings. This aircraft features 8 First Class open suites, 42 flat bed Club World seats, 39 World Traveller Plus seats, and 127 standard Economy Seats. Great option for business class as you get a window which has more room for your shoulders and more privacy and you are last in the row so you have clear access to the aisle without having to step over anyone. Definitely one of the better seats in business. The seats and beds aren't as wide as other planes, but I'm a pretty large person and had no trouble sleeping on my side or my stomach. Only downside is you have to fly backwards, but other than for 5 or 10 minutes at takeoff, it really is no bother. Last time I'll fly BA Business Class. At least until they change the zig zag setting. Person inside next to window has to climb over the inboard person feet if they want to get out. BA, your design department needs to step up. Might say the only reason we took this flight was the non-stop to LHR. I'll go back to other airlines that provide a better lay-out. 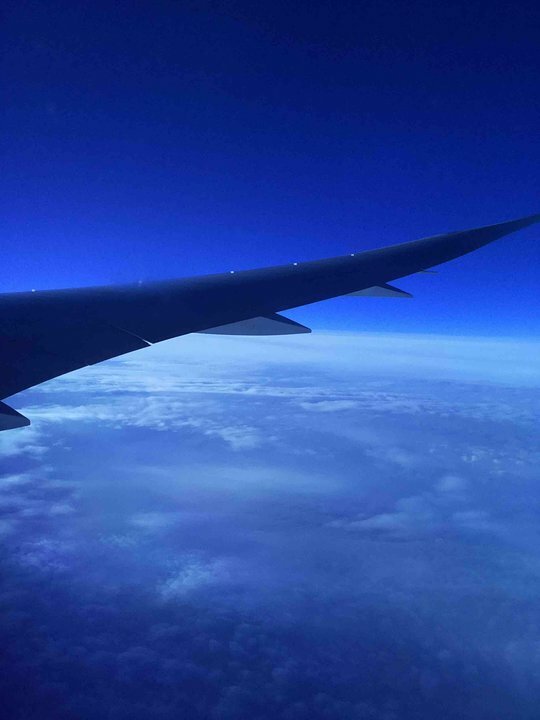 I've just returned from a trip from Australia to Europe and US, and also flown on a Qantas B789. This flight was the most unpleasant for me. Plus was a little bit extra legroom. The seat was significantly narrow. Fortunately I had a slim mother next to me for most of the flight, but when her husband swapped seats toward the end we were bumping arms and shoulders most of the time. Their baby was in a cot, so this cut off the short cut to toilets that other passengers have commented on. Big negative for me is that BA has decided to remove the air outlets from above the seats, in economy anyway. The flight seemed warm and stuffy and I couldn't wait to leave. This was not the case in the Qantas version of the aircraft. Unless I can get Premium Economy, I'd probably avoid this aircraft and route in future. Much better IFE compared to the equivalent Premium Economy seat on the 777-200 going out, but the seats in the 787-9 are short and lack the swing out calf rest making them much less comfortable to sleep in. Food was worse than any I have had in Economy on other airlines and service was poor - not even coffee for breakfast on a 14 hour flight! Try to get the middle rear-facing seat if you want to get some decent sleep. As mentioned, the proximity to the galley and aisle could be bothersome - and it definitely is. Additionally, the British Airways logo sign that you face is illuminated throughout the whole flight so be prepared to wear your eye mask to block it out. I have never been so hot flying in mu life. Maybe it was the flying direction but even the windows were hot to the touch. This aircraft has no way to adjust your own air conditing. These Business Class/Club World seats are very poorly designed. if youre next to window you can get up and out to use restroom but you will bump your head as ceiling slopes. The footrest a little too far away for shorter people (54) to use while sitting upright. Also, with the footrest in the up position for me in aisle seat 12, the person in window seat 11 had to climb over my footstool any time she wanted to get out of her seat! Window seat people were always apologizing to aisle seat people for bumping them every time they had to climb over. Oh, and bring a sweater for sure. The air vents are above the windows and shoot out into the room with NO individual controls. I had to wrap my shoulders with the duvet they provided in order to be warm. Funny; usually on airplanes, theres not enough air blowing on me. AND, theres very, very little room to store stuff. No pockets by armrest, a little drawer on the floor for shoes, and thats it. If you dont want to keep getting small items from your overhead bin, BAs Business class is not for you. The middle pod seat offers extra room, via a complete armrest, not offered in the aisle/window seat. If you don't mind flying backwards (and I didn't) the extra room is worth it! Very pleasant flight with really friendly and attentive crew. Seems like there has been improvement in the food quality lately. Breakfast was particularly good. The Club World seats are not great compared to new seats from the competition, still it beats economy. I won't be travelling business class with BA again until they sort out their product, improving customer service and scrapping the awful forward.backward configurations. The seats are not comfortable. The food is mediocre and the cabin crew disinterested. This flight was everything I expected and worse. Having read the reviews on Seatguru, I had tried to avoid BA on my trip to Mexico, but the cost to avoid BA completely was becoming prohibitive. I had booked seat 43C at online check-in hoping that the flight wouldn't be full and I might have the whole two seat row to myself. At boarding I was told that there was a problem with the seat and was assigned 31K instead. I don't remember ever feeling so cramped on a flight before, and that includes short haul and regional flights. The guy next to me wasn't particularly large, but I felt trapped in my own little cell. Eating required a finding new ways to use my arms and there was no way I was going to be able to reach down to take off my shoes. And I have to mention the box in the foot space. I have been flying with the same backpack for years and this is the first time I have not been able to fit it under the seat in front. I even tried to make it smaller by putting some things in the seat pocket, but this isn't very spacious; not even as wide as the seat. What makes the whole episode worse is that my BA flight EDI-LHR to fly to Mexico was on a 767. This eems the wrong way around to me. 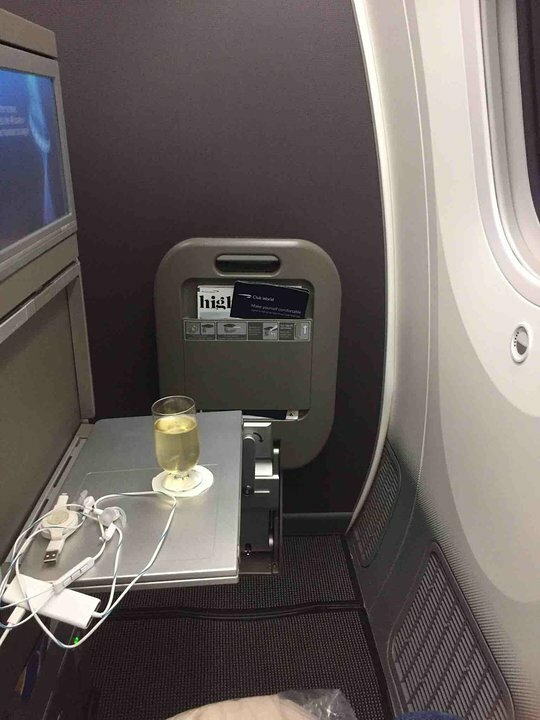 If you have to fly with BA on this type, consider paying for a premium seat. As for me, well thanks to the good contributors to Seatguru, I arranged to fly with a different carrier home from Mexico. Both seats have the metal entertainment box underneath the seat in front of them, robbing you of some precious foot space. Avoid. On our outbound flight we sat in front of these seats and heard the couple seated there complain about the Air Con being too strong, we were OK. On our return flight due to technical problems my companion and I were unable to use the seats we pre-paid so we ended up with 43B/C. They really were not good seats and it was absolutely freezing in that enclosed space. I never feel cold on flights, the staff said unless lots of people complain there is nothing they can do. Also, you will be last to be served food & drinks and are located in front of one of only two toilets for this cabin. I would not recommend these seats. Entertainment system electronics box under seat in front restricting leg room. Not a window seat really, as you have to look over your left shoulder to see out of the aircraft. Also, as this is World Traveller seat, you are served your meals last and there was no choice of meals. This is a window seat, but the window is over your left shoulder. There is a piece of blank plastic where the window would normally be. Standard World Traveller seat otherwise. Having previously flown in Economy/WT on this aircraft, I can safely say that the 787 was designed only for premium passengers. Compared to the sardine can hell that is the cabin behind, this seat is very comfortable and well equipped. Space is good, and the food main course comes from Club World. I like that the tray table comes from the armrest, rather than the seat-back. Much less bother when the seat in-front reclines whilst you have your table out. In this seat, you are able to better appreciate the new features of the 787 (mood lighting, big windows, etc). Last row of the plane so the seats on either side are in pairs, paid extra to bag these. Great seats for couples. No galley noise, you could just about hear the toilet flush but not enough to bother and people queued for the toilet behind the bulkhead in the galley so that was great. Lots of extra room around the window seat for bags, pillow etc. Normal recline (which crew allowed us to keep reclined for takeoff and landing as no one behind you), Legroom was fine but we found the seats so narrow, hard to get comfortable and I am small! No one pulling on your seat or banging so for us best seats in economy. Small overall, not much room, difficult to access if 12J passenger has their seat in bed form. Very little storage except in overhead locker. Almost all business class seats in this configuration have similar issues. Note that BA's business class has 7 seats per row, where the exact same aircraft at AA has only 4 seats across. There is the story. The most uncomfortable, painful seat ive ever used. I woke up with agonising leg cramps and numb fingers as i had no room to my right. Horrific. There are two wardrobes in front of this seat, one on either side of this aisle, and the crew keep their uniforms and bags in them. On this flight, I was disturbed and woken several times as crew used these wardrobes. There are also bright lights above the help-yourself snack area behind seat 7J. Although there is a curtain in front, it does not properly mask the light which is in direct line of sight of rear-facing seat 7E and might also bother the forward-facing 7F. I would not recommend seats 20D-F. The noise from the lavatories is noticeable especially when either toilet is flushed. Seat pitch, food quality and service is average for this class. Hot towel and pre-take-off drink selection includes OJ or water. Service is definitely better on Asian carriers. BA seem to have a unique ability to make a perfectly good plane uncomfortable. Seats are cramped compared to other Asian carriers on this route and the metal IFE boxes under the seat in front are a really poor idea, however seat C was missing one.Food and beverage was perfectly OK, in fact better than the premium economy cabin offer on my return flight. As a frequent flier on this route I would say Singapore are still hard to beat although you will have to change planes at Changi. Very little in the way of premium service other than a pre take off drink ( water or orange juice). The seat was comfortable enough until the seat in front reclines almost touching your face. Food and beverage was indistinguishable from economy. Conclusion - Not worth the premium. In general the economy class of this LON-KUL is not as good quality as other LON-KUL carrier. Seats are smaller and less plush. Seat C, E, H in this class all have the metal media box in the foot well so beware you will uncomfortable and you will unnaturally lean you ankle awkwardly on this, and for prolonged period it will ache. I will get the return leg of this flight tonight on flight BA0034 seat 41E tonight and not expecting a comfortable ride. Flew out of Muscat on Feb. 2018. Seat is standard BA World Club which in my opinion is ok if you are not too tall or too wide. Plane is near brand new so quality of materials and screen's resolution are excellent. This area of plane is quiet because bathroom is behind you. Nobody jumping over your feet to get access to their seat. Only bothersome is light coming from BA logo that is not dimmed during night. Flew from LHR to LAX. I am 5' 10" and 160lb- the legroom and width for this seat (and others) was fine for me. I had 39H on the way back also absolutely fine, plenty of space. Even though some seats had the entertainment box on the floor, I did not see this as an issue, still plenty of room for your feet. The dimming windows which you can control are also really cool. The BA 787 from Austin to London is consistently one of the least comfortable planes I've ever been on. The seats are narrow and closely spaced. Row 30 has legroom, at least. Flew SJC-LHR quite cramped especially after seeing First and Business class! I flew on BA from Muscat to London in Traveller Plus and was very happy except that the bean counters who clearly run BA had decided lunch at the end of a 7 hour flight would be a cereal bar! (We did get a hot breakfast when took off). My wife travelled a week later and was happy with the lie-flat bed again but the BA bed configuration means that its not suitable for tall people. Her lunch was a sandwich so lucky her! So in brief she recommends BA Business class for shorter people who dont like to eat much and dont need to go to the toilet for 7 hours as to get there you have to climb over your neighbour. (Alternatively you can pick an aisle seat but then you mustnt mind being disturbed for your neighbour to climb over you). Until BA sort this out you are better off using airlines like Thai Air with a much better seat pitch due to their business class layout. I didn't like this First Class Seat as much as the one in Boeing 747-400. The TV screen is bulky and cannot be folded back so you are in front of it the whole time, whether it's on or not. There wasn't much room to hang clothes, and worst of all only 1 toilet for the whole cabin, its crew and the flight crew! The bed was quite hard too, and I found the seat less comfortable. The crew said they didn't like this plane much either. Apparently it is a standard commission, not made specifically for British Airways. It seems that BA is only after your money. I upgraded on an outbound flight (Lhr - Mex), but due to 15 snowflakes on the ground we were delayed by 3.5 hrs!!! Whilst the onboard crew where very good and attentive, BA's lack of apology is disgraceful. As we were delayed, we didnt get a hot towel (in First!!!!) and the food was very rushed, as the Cabin Crew had to get their rest etc. Futhermore, as i boarded the plane, and being in First, the idiot standing at the door just waved his hand in the general direction of the cabin, not even bothering to take me there, nor hand me over, so a bad start. On reflection, my return flight will the last (afarp) with BA, and ill fly Business on AA, KLM, OR, AF. Flew Santiago to LHR return. Both were great flights. I loved the seat controls and the flat beds and 787 ambiance made sleep easy on these 14+ hour flights. Outgoing I'd rate a 10 due to the great pair of flight attendants. Return not as good due to indifferent crew. Didn'd use the entertainment system. Meals OK but their breakfast needs some work. But overall F class in a British 789 is superb. Am a big fan of BA and their Prem Economy service on the 787-9 is terrific. Perfectly comfortable seats and in 16B you get extra leg room due to the aisle and no storage on the floor. Dinner was very good, service was too and basically i slept very well on the overnight. Very comfortable and the 787 is one of the quietest craft that I have ever flown and I have flown virtually all commercial craft. That and the lower altitude pressured cabin really makes you fresher upon landing. Very good experience. This is an awful seat no window and like all BA Boeing 787-900 the economy seats are hard, had to use the blanket as a cushion. found condensation running on the ceiling and dropping on me, my seat and on the entertainment screen. Was given napkins to wipe up until it stopped...seems to be a common experience based on the attendant's response. This was a flight from Austin to Heathrow. This seat does not have any box on the floor so you have more space. I chose the seat 35C after checking seatguru reviews, which were right: this seat does not have any entertainment box on the floor so you have more space. Only C, E and H does not have these boxes. For the rest, the flight was nice (nothing really bad or good). There are no windows on row 41 and it is not obvious from the online check-in that this is the case. You can't even see through the window in front or behind, so if you are claustrophobic, you might want to consider even an aisle seat rather than this one. Other than that, it is a great plane to fly on. In flight entertainment was good. Economy seats do not have plug sockets. They only have USB power. This seat is ideal if you are travelling as a couple. These seats do not have limited recline (as seatguru suggests) and the extra space on the right of 43J is good for putting your things or extra baggage. My wife and I really enjoyed these seats, they are no different to the rest and are really comfortable. Great job BA! No window in this row. While I prefer an aisle seat, I still like to be able to lean over and look out windows - especially for landing. This made me uncomfortable and I would not recommend. The middle middle seats have the fewest problems with the entertainment boxes on the floor under the seat in front. I am 6'2" (180cm) tall and found both the legroom.and width of this seat to be great. Recline not fantastic. Middle seat is quiet but awkward because it faces both aisle passengers. The foot rest that completes the flat bed would not stay latched so it fell to the floor at least four times while I tried to sleep. Shoulder room very tight (and arguably worse than economy) because of enclosure shape. I was originally booked in Club World but got to sit in 1a. It is a very comfortable seat with a full bed function. There is no noise-problem at all, since the aircraft is very silent and y ou don't hear any toiletflushing. The crew was very friendly and ambitious, the food was good. No reason not to be happy. Good product. Row 43 B and C have a window and three under chair storage areas. Seat C did not have an entertainment box while seat A and B have boxes. The seats do lean fully back in row 43. My husband flew in this seat because I paid $85 to upgrade him to the bulkhead (we were using miles, and mine were on a different airline, in business class, so I felt bad that he was stuffed in coach for a 10-hour flight). He reported that the legroom was wonderful but the seat is extremely narrow, as reported by others, because of the equipment in the armrest. He also asked for a blanket because it's cold in that zone, as expected in an emergency exit seat. He is a big guy, so I'd recommend this seat only for lean people. FYI, in order to reserve that seat (he had used American miles) we had to call American airlines and ask for the British Airways equivalent record locator. That info isn't available online. Once we had the BA locator, we could log on to BA website, manage flights, and pay to select a seat. It's not possible to pay to move ahead to another class, but within the reserved class, pretty much any type of seat is available far in advance if you're willing to pay. I miss the days when Business Class meant a wide, well-padded seat with ample room to store items under the seat, and easy access to the items. The British Airways crew in Club World was excellent, but and yes it's possible for passenger to lie flat on this zone (I'm 5'5" female) but I made a little tour of third class (Premium Economy, right behind the curtain of my seat) and next time will go for that instead. Seat 13D comprises a narrow little cubicle that can be electronically made into a lie-flat seat that connects with a footstool. But if you've brought items to work on during the 10-hour flight (Kindle, small laptop, puzzle book, all of which I preferred to the IFE), there only place to store your items is in a little drawer under the seat. Accessing the drawer, the IFE screen, and the tray table all require a jumble of re-configuring the seat. In addition, someone had purchased a Business Class seat for her toddler, and the poor child was not at all happy; the crying and screaming from the child lasted for several hours, and I felt very sorry, but on the other hand, this dispelled the myth that buying a seat in Club World ensures a child-free change to sleep. Premium Economy looked more like what I was looking for: an oversize, conventional seat (i.e. no layers of panels, and more like a chair than a contraption), with plenty of recline and legroom. I wasn't impressed by the Club World food, either. The tea sandwiches were mostly big wedges of dry bread with a smear of strange-flavored filling. I ordered beef for the entrée, and it was dry, cooked well past well done. I did raid the Club World snack pantry, though, and enjoyed chips and chocolate. The Dreamliner is beautiful nonetheless: excellent air quality and overall design that reduces feeling of claustrophobia. Weather helped prevent turbulence, but 13D also contributed to a smooth flight because the seat is near the center of the plane. Experienced excessive noise from the cabin crew. Clattering glasses, dishes, trollies woke me up made it difficult to get a decent nights sleep from San Jose to London. All of the Business Class seats are essentially the same. I'm a big guy at 6ft./280 and I found the seats comfortable whether upright or fully flat. The 797-9 looked new with little wear and tear and VERY clean. Great window seat with three windows and clear aisle access too. Possibly the best seat in Club World (Business Class). The 787 is a wonderful aircraft too. Slightly inconvenient placement of electronics boxes meant I had to juggle my feet around them. We had seats 7J/K for a recent flight from SJC to LHR. I thought they were good choices for this aircraft, especially this window seat, since you don't have to cross over anyone's legs to get out. There WAS a feeling of lack of privacy in the aisle seat, but I didn't experience any discomfort from proximity to the restrooms or galley. I thought seats facing each other would be strange, but it was fine for us. Service was great on this particular flight. Not as good on the return flight. There's a small drawer to store your things during take-off & landing. Larger stuff has to go in the overhead bins. Overall happy with these seats and preferred them over 6A/B, which is what we had on the return. Agree with previous comment that this is a great seat, tight to the wall but sufficient room as I am thin, and even a view back through the window. The FIRST cabin feels far more intimate with only 8 seats not 12. Its BAs newest seating layout but still only offering limited Inflight Entertainment selection (useless for frequent flyers). Seats 1E and 1F are good options for daytime flights, but at night the backlight from the BA logo at the front of the cabin means these seats never get dark. Wonderful seats! The seats reclined and I was never disturbed by lavatory traffic. What a great plane to fly on! I was in premium economy in seat 21A and my brother was seat 21B. It has the full extra recline despite being at the wall that had the emergency exit on the other side of it. Also didn't have a problem at all with seat width. One user commented that the curtain constantly hit them. Perhaps on the 787-800 but not on this plane did the curtain hit my brother once. We also never were bothered by people queuing for the toilet as they queued on the standard economy side of the curtain! The recline is outrageously good for the price. It goes so much further than normal economy and anyone who complains is simply very hard to please! If you want business class standard then pay for it! Would gladly fly this again! For the price paid, this seat was good and the flight attendants were fabulous. A big or tall person would feel confined and uncomfortable but since I'm short, I had no problems. 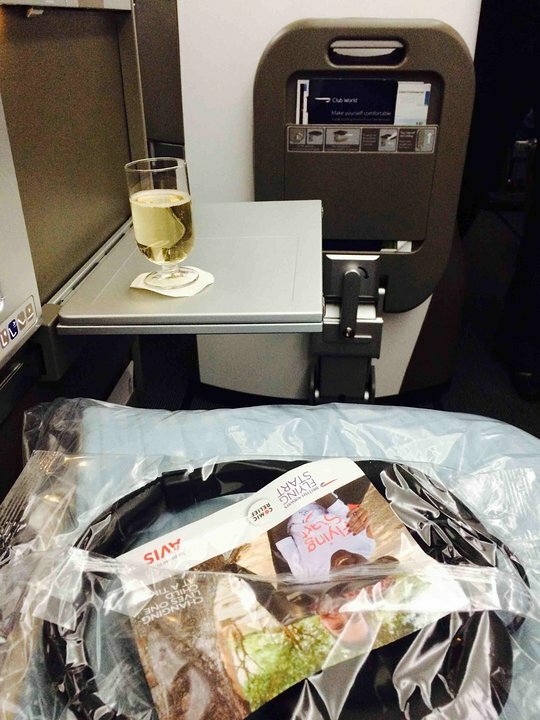 BA's business class is lacking in comparison to other airlines but their pricing is more favorable. The food was good but limited in variety and they ran out of things after serving first class and the forward business class sections. Ice in drinks is a problem by the time they come through for the "snack" before landing. This seat is somewhat private. But the seat width is narrow and there is little shoulder room. I don't like the design of BA Club World as the layout is strange. This seat sits facing backwards which afforded some nice wing/engine views. Compared to other business class seats I though it was outdated, small and offered no storage to speak of. I'd recommend an asile seat if you want the extra room. Flew London to Santiago, seat 30K i dont understand why this seat is in red. The door is fare away so you can strech your legs out. The toilet are no problem as people stand away from your seat. I agree with other people the seats are hard which i solved with £20 for a memory foam seat and foot cushion, which i can use again and again. The entertainment system was very good, food was just ok. I found that after this 14.50 min flight I felt better then shorter flights. I would use this seat again. Paid extra £45 for the front row window seat. Its really not worth paying for on this aircraft. The exit door is far enough away for you to stretch your feet out, unless you're over 6". The worst part is the fact that you are so crammed up against the side of the cabin, it makes you lean over towards the poor person sitting next to you in the middle seat - the complete oppostive of what a window seat is supposed to offer you. I cannot imagine what it must be like to be in the rows behind, with an added equipment box. Also, the usual issues of the lavatory proximity are obvious. Smells every time the door opens, congregating passengers, etc This really is a disaster of an aircraft. Shame on you Boeing and BA. First trip ln the Dreamloner, which inwas dreading after all the negative reviews. I must say, its not that bad. Yes, its cramped, yes, the seats are narrow. I think my expectations were so low, that it must have helped. The seats are similar in width to a short haul A320"or 737. This aisle seat has no AV box, which also helps. Noise wise, its quieter than a 777 or 747' but nowhere near as quiet as an A380. The dimming windows must bave been uograded, since unlime other reviews they could be dimmed to being practically blackout. Still, all in all, its my last choice of aircraft to travel on. Give me an ageing 747 anyday before a Dreamliner. 777 is far more comfortable, and the A380 remains the clear #1 choice for me. Dreading this as BA not first choice in recent months for long haul. 14.10 mins flight was i have to say great..we had the two seats together at the back and were more than happy to pay extra to reserve. Food good,crew excellent and flight flew by..sorry for pun! Agree with the review for seats 41..no windows..which manufacturer thought of that?? I flew in seat 31A both ways LHR-AUH Dhabi recently. Having read the reviews I was dreading it (I'm 6'3" and c265lbs). Surprisingly I found the seat width, pitch and service OK. On the way out the middle seat was empty so I and the passenger in 31C had plenty of room for our feet and cabin bits. A pleasant surprise after reading others' reviews. However, on the way back all 3 seats were occupied and even with all my stuff in the overhead, there was simply nowhere for me to put my feet because of the poorly located oversized IFE box where I wanted to put my feet. I think that BA have sited these where they are easy to get at for maintenance etc, rather than out of the way (i.e. under the floor, or further forward under the seat in front) at the expense of passenger comfort. I await the day when IFE is no more and passengers use their own devices for entertainment! First time flying this plane and was very excited. The windows were so big and you could see so much the food was amazing for a econamy! Dreadful seat, no window simply a blank wall. No space, seats crammed in and prison feel exacerbated by the lack of window. Really bouncy flight sitting that far back. If flying this route again, i will look for alternatives. My comments are just the same as the other Santiago passenger. [applies both ways] Cramped and difficult access in Business class- no width. Poor partly uncooked food. Entertainment and service good. Engine vibration through bed. Too dark inside- had to use my torch to go to bathroom! Could not pick seats when we booked without extra cost [expensive for what it was anyway!] Won't use BA again unless essential. All Economy seats are excruciatingly cramped, especially for any flight longer than 60 min. I'm quite short and I was chewing my knees. I will never fly this equipment on BA again, even if upgraded since the herring-bone pod arrangement of seats in First and Club-World means all window seats face backwards. The food was deplorable, as well. 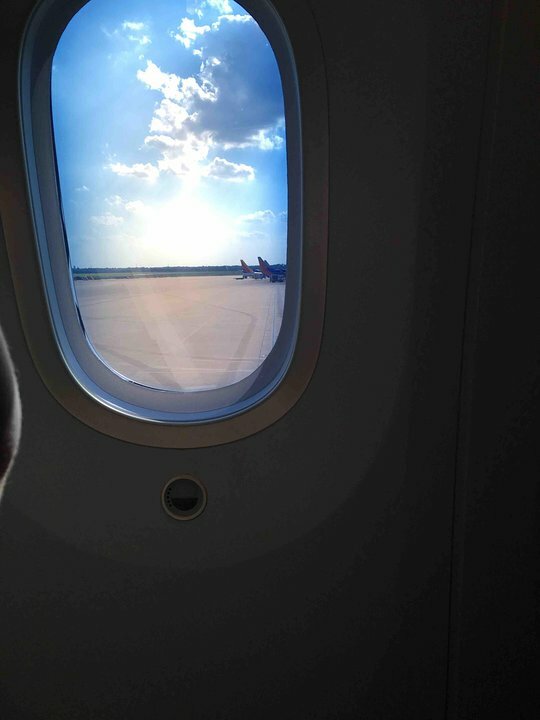 It was a daytime flight yet one is compelled to close the window shade by both attendants and other passengers. Most unpleasant flights in both directions. I flew London to Santiago which was nearly a 15 hour flight. Pros: very new, entertainment system is good, great windows, very quiet and cabin air seemed good with better pressure than usual. Cons: seats are inhumanely tight. I am 5ft3 and the entertainment box under all seats but the aisle took up my legroom, that and with no footwell divider between the window and middle seat meant a constant battle for space with my neighbour. When the seat in front reclines your nose nearly touches the seat back screen. Shocking, I had dead legs and arms on both flights. I will chose another airline the next time I fly such a long distance. This must be the worst seat ever! Next to the toilet and constantly being pestered by people hanging onto the seat awaiting the loo, plus when curtain drawn it gets pushed against you as people and staff pass through the cabin. Was looking forward to my first Dreamliner 787 flight but after this flight I will avoid it in the future. Note that from seat row 42-to the back, D-F there are no overhead bins. These are locked for safety equipment apparently, so unless you're the first down the back of the plane then most likely you'll not have anywhere for your bag. Seatguru need to note this fact The underseat space is very tight as in flight entertainment boxes are mounted there. The seats are narrow and I bent my Bose headphone jack just by simply trying to move in my seat. But worst of all is how narrow the ailses are, get a window seat unless you constantly want to be knocked into by cabin crew, trolleys and fellow passengers. Maybe other airlines have the 789 better laid out but I was underwhelmed by the whole thing. Good point; nice quiet aircraft. Media box made it impossible to fit a small backpack under the seat. Even if I could have put it there, there is absolutely no room to maneuver in these seats, either from side to side or front to back. I am a small person, and I found the space extremely tight. My husband is 6'2" 250 lbs., and he sat with his arms crossed and didn't move the entire flight (he was in the middle seat). On the way home, we paid $170 to upgrade to the exit row seats (Row 30) which was great for legroom. While the seats themselves are comfortable, the width is ridiculously tight; I have only ever flown economy stateside, and I have never been in a seat that small! I do not recommend for anyone over 5 feet and 100 lbs.! We will upgrade or fly another airline next time! I fly this plane 4-5 times/year for business from Austin->London and back. I try to sit in row 30 any chance I get. As long as you don't need access to your carry-on (there's no under-seat storage) the added legroom of having a bulkhead seat is worth giving up that convenience. As others have mentioned, because of the media boxes, leg room is almost nonexistent in all the other seats. This row is also great because you don't have to climb over people or ask them to get up to go to the restroom. The downside to this - If you're in 30 D, E, or F, passengers sometimes use your legroom as a passthrough between the two aisles. Comment for this seat and the corresponding seat on the opposite aisle. You are constantly bothered by the closed curtain, everytime a crew member passes through or a passenger goes to the bathroom, the curtain brushes over these seats due to the angle and which the curtain rail is mounted, with the constant touch/brush of the curtain a relaxing journey is impossible. Also, with the toilets being new design or maybe more 'efficient' the noise from the flushing or suction is incredible loud outside of the wahroom. This bulk head seat is great. I am 188cm tall with long legs. Whilst one cannot put feet under the seat in front of you this slight inconvenience is made up by fact that the foot rest actually comes with a leg rest that comes out from under one's seat plus no one can recline jnto one's space. 16F was a great seat. I'm 5'10" and I was able to stretch my legs out almost fully. The option to put one's legs up against the bulkhead is nice. The cabin crew sometimes walked through in front of us but it wasn't so annoying. I've travelled in WT on the 787 and would not recommend. WTP you have great shoulder room and leg room. If in WTP again I might choose a non-bulkhead seat as you can stretch out even more. You also get a main from business class, very decent food. Worst economy class seat EVER. There is an AV box that takes up around 40% of the leg room. I wish I could upload a picture. DO NOT BRING into the plain a backpack or anything that you might need to place under the seat in front of you, because there is no room. I'm 5'8 (173cm), so I'm not tall and I normally do not complain about leg room or seat width. But this flight was an absolute nightmare. I have flown economy NY-Taipei, SF-Tokyo, SF-HKG, LAX-MAD...so I think I have had a variety of experiences on long haul flights, and this was THE WORST. After 5 hours I could not stop thinking about landing. My right leg felt asleep several times. Really, if you are taller than 5'9'' or overweight, you will suffer. BA, I do not appreciate that you brought back the cattle class. I flew overnight from LHR to Delhi in seat 13A (Club World). Though I don't often go Business, I found this seat to be a great choice - cossetted against the window and access to the aisle without having to climb over the les of a reclining fellow passenger in seat B as it has a little space that you don't have further forward in the cabin. The seat was very comfy, the IFE great, service excellent and food and drinks very good. I agree with other comments that, whilst comfortable, the space is not very wide so you don't have a lot of room to move around but hey ... try WT or WTPlus!! I was really pleased with this seat. I was meant to be in a World Traveller Plus seat (LHR > AUH) but upgraded for cash at the airport (£549) and was assigned seat 10A. BA gets a lot of criticism (perhaps rightly) but one thing that is great about its business class (Club World) window seats is the level of privacy. Once the privacy shield was raised I was cocooned in my own little world with 3 windows to my right and great bloody marys on tap. This seat also has direct aisle access (no jumping over someone else's legs like other window seats). By comparison the aisle seats are very exposed and I would not have been happy sitting in one of those. 10A is great if you can get it. British Airways are slowly slipping in the league of great trans atlantic carriers and the new 787 9 World Traveller seats are not going to help. Leg room on this aircraft is appauling, with 17" seat width and AVOD boxes under every seat taking up 50% of your leg room. Cattle class is dead long live battery hen class. Flew Toronto to Heathrow and could not feel my legs when I landed, if the seats infront of your row are reclined then forget trips to the bathroom. If your taller than 5,8" your going to get a very chloestrophobic trip. Strangley, the seat pitch is far greater on the charter versions used by Tui? Unfortunately, the lion share of the aircraft is given to the big ticket customers. Lovely flight in coach LHR-SJC - even after flying over to England First Class on AA. Good food, good service. Foot space a bit cramped w/ entertainment box, but adjacent seat empty was a luxury with this flight usually oversold. Customs a dream in SJC! No idea why this is a red seat. It's the best seat in economy in my opinion. I was on the overnight PHL to LHR flight (the same one as the commentor below i believe). It was a quiet flight so i had 43B and 43C to myself. Perfect. My seat reclined and you don't have to worry about annoying anyone behind you. I had usb power for my phone and the staff are great. The big bonus of this seat is that you get a large area to the left side of your seat which you can put bags etc in without blocking the aisle or your leg space. The only minor downside was that you could hear the flush from the toilet behind you, which woke me up a couple of times. Flew in this seat from PHL to LHR overnight. It was great as part of a couple & the new Dreamliner was a very pleasant flight. The seats reclined and I was never disturbed by lavatory traffic. I flew from LHR to DEL. This was an overnight flight and it was onetime despite a late departure. The suite was well appointed and very comfortable. The seat was slightly easier to recline than other suite seats that are lie-flat. Great service, great food and very comfortable led to a flight where I slept very well and arrived rested. Flew from LHR to BOS (7 hours). first time on a 787-9 Initially seat felt very firm but it is one of the best economy seats I have sat in for 'long duration' comfort. very supportive. Leg room on this seat is great, but seat is very narrow. I'm pretty slim and found it tight. I literally 'rubbed' shoulders with the guy sitting next to me all flight. He was also flying with a baby (middle seat) but bassinet placed really conveniently so didnt bother me at all. Easy to get in and out. I think BA is going to find itself with a high maintenance bill on these planes. Clearly plane fairly new, but my USB port was broken, there was no sound when playing music from the in-flight system (movies were fine), even set at minimum the volume was far too high for anyone with noise cancelling headphones, the screen release system had jammed. Very comfortable plane, felt a bit easier to sleep on than an A380 and a massive improvement over the old 747. The premium section is a little noisier being just behind the wing but once in the air was fine. Plenty of overhead locker space in this section. The seating arrangement on the business class is peculiar, need to go over rear passenger feet while they are sleeping to get to the aisle. The screen need to be flipped 90 degrees so that it faces you to watch movies. Unfortunately, the locking mechanism doesnt work so the screen cant be locked at 90 degrees and it doesnt face me. While serving drinks before take off, by the time the stewardess got to me, she had only wine, orange juice and water on her tray. I asked for apple juice and she replied that she only had those on the tray. No need to tell me that since my eyesight is good, so had to tell her to go and get the apple juice which she reluctantly do it. While serving breakfast, I told her what I wanted and even showed the item that I wanted from the menu. To my disgust, she said she cant see what I had pointed to, and even said she cant understand. When the chief steward brought the buns, I chose 1 but changed my mind and took another 1. He raised his voice telling me to also take the 1st bun since he said its already been touched. If you dont want the passengers to touch the bun, why cant you put the bun on the passenger side plate using tong after the passenger has pointed to the bun that he wants? Other airlines are doing that, especially in business class. Will try to avoid BA in the future. Exit row seats have tray tables and video screens in armrests, making them immovable. This restricts the overall seat width, making this seat quite uncomfortable. Extra leg room is nice, but not at the expense of reduced seat width. The space under the seat in front of me was extremely small due to the presence of a metal box which I think was housing electronic equipment. I think this is true for many seats in the economy cabin. DEL-LHR. First time in Club World and worth every penny of my savings. Good food and an attentive cabin crew who laughed at all of our stupid jokes. Seat was very comfortable, especially in the 'slouched' position adopted for watching movies. AVOD touchscreen was very responsive. Gonna be difficult going back to cattle class after this! Unbelievable that a European airline sells this as business class, it's so poor compared to other business class products. Rear facing is super awkward, your chair is unreachable due to the positioning of the seat next to you and the chair is extremely narrow and uncomfortable for a business one. Would never spend a penny on this, but it is actually a waste of Avios as well. I found 17A to be quite comfy. Seats are much wider that WT/economy, plus you have your own arm rest, more leg room plus adjustable foot rest, space between the window seat and wall of plane for personal items, generous seat recline, sparkling wine before takeoff, personalized menu and proper utensils. This seat is behind a bulkhead row with bassinet, so chances are good you'll have a baby nearby. From the window seat, if the seats in front of you are reclined, you are not able to squeeze past your seat mate if the aisle seat is also occupied. If your seat is reclined and the people behind you want to get out, you'll undoubtably experience the push and pull of your seat back as they try to exit. Flew nonstop from Austin to London in seat 30A. I personally did not have an issue with people congregating in the exit aisle for the lavatory, possibly because this was an evening flight and many were sleeping in the first several hours of the flight. However, the seats in economy / world traveller are terribly narrow. I am a slender, petite woman and had it not been for the extra legroom and window, my personal space would have been nil. I recommend purchasing at the world traveler plus level. If all three center seats are occupied and reclined the person in the middle (Row E) must step over the legs of one of the aisle passengers seating next to them. This is not convenient for either passenger! This seat has plenty of legroom. Wide enough for me too, and I'm a "big guy". Only drawback is that there isn't a window in row 41. 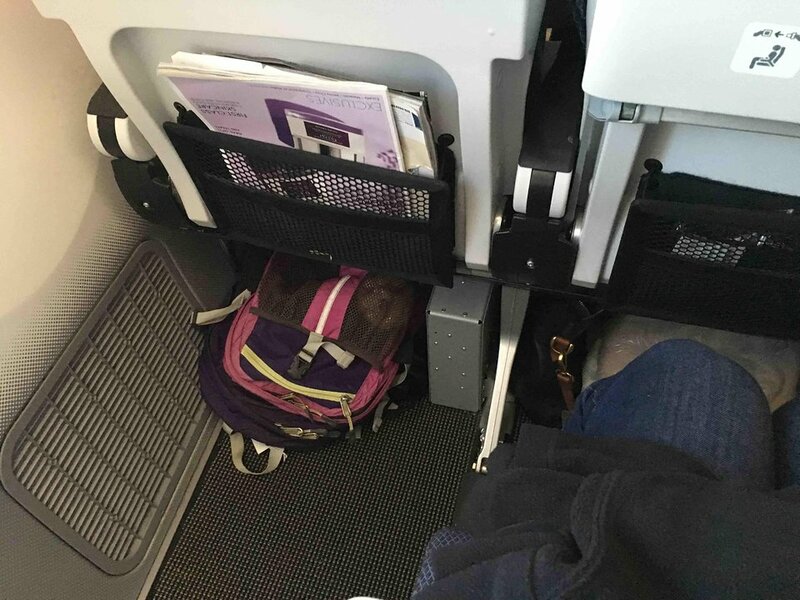 Note that the "C" seats do not have the box on the floor that robs the passenger's legroom. Good seat at the front of world traveller plus (economy plus). Has plenty of leg room with bassinets in front of seats, although all plus seats look to have good leg room. The entertainment screen and table both extend from the armrests. There is a fold out foot rest. Configuration is 2 3 2. Both aisle seats in the middle of the plan have obstructed leg room from the entertainment system. there is barely enough room for your feet. The center seat has all the leg room, as there is no box there. Since the flight was almost empty, I moved to 18A. ALthough there are entertainment boxes, there is no divider on the floor between the seats so there is a lot of room for your feet. Once again, great service, food, drinks, entertainment. Nice aircraft. An earlier reviewer suggested this seat does not recline, this in incorrect. I had no such issue on my recent flight. All the back row seats fully recline. Beware this seat is not the advertised width, neither is 42J. The seats are moved closer together due to the narrowing on the fuselage, I've had more comfortable short haul charter flights. This same advise needs to apply for 42A and 42B. To recap, seats 42A, 42B, 42J and 42K are all reduced width, and not recommended for anyone carrying a few pounds. IA-LHR. Not impressed with this BA flight. Plane looked absolutely brand new but I am not 100% convinced with the seating layout. 6B is the forward facing one and 6A is the rear facing one. Hard to avoid not making eye contact with the other passenger, which is extremely uncomfortable on a long flight. Thank God for the screen in the middle that I used as soon as we took off. Service was subpar. Not a wide selection of drinks and not even a hot dish for breakfast. Seriously? After a 9 hour flight it is not acceptable. But flight attendants did have a smile on their faces everytime they had to tell you the bad news. Due to the shape of the seat shell, shoulder room is a little tight with the seat fully upright, but it increases when you recline the seat. Cannot stand upright because of overhead bins, storage is a singe drawer down by your feet, and is big enough to store a 15" laptop. Electronically dimming windows work better on this version than on earlier models. Seat cushions were great for a 7 hr flight. My son and I, using the 787 on different routes/days found the seats hard and too short with insufficient support under our thighs. Not comfortable for more than a 2 hour flight. Church pews are like these seats! Apart from the bulkhead seats, this configuration of 787 has AV boxes under seats A, B, D, F J & H. so all seats with those letters will have 20-25% restriction on leg room. Premium economy and cant extend feet fully... The seat in front has entertainment box underneath on right hand side. Im pretty tall thats why i paid to upgrade to premium economy. Thos is the worst premium economy seat have sat in. Could not extend legs fully due to entertainment box. Great plane, much less jet lag than normal. Good seat, better privacy than most as nobody to step over or step on. Luggage can be an issue though as rear most overhead storage is used for cabin equipment, also lower ceiling could be an issue for taller passengers. Avoid the bulkhead seats between the aisles in premium economy and regular economy. There are no galleys between the normal boarding doors in the middle of business and the far back row. Passengers at bulkhead seats are disturbed by people crossing between the aisles. 34A window seat with Audio Visual box at your feet - so basically no leg room. 34B even worse - in the middle with a box as well. 34C has no AV box and aisle - the windows are big and a novelty - but dont bother and take the leg room. Seat does recline but poor for overnight flight with noise & light from toilets/galley. Most annoyed that seat was already pre-allocated when trying to check-in 24 hours prior! This is an evolution of the FIRST seat on BA's B777, B747 and A380s. The leathers seem more tactile and the space has more of a mini-suite feel to it; when sat, I could not see any other First passenger. 1A does suffer some footfall from others going to the toilet. 1K is quiet, but does get some disturbance from the galley lights if the curtain isn't kept closed. For sole travellers, I'd highly recommend 2A and 2K. BA have raised the bar with the First offering on their B787-9s. This is a poor seat. Difficult to get any sleep with the light from the galley and disturbance from the sounds and voices of the air service crew working at the galley. Toilet noises also quite loud. Worst economy class section I have experienced in 50+ years of flying. 13hrs 45 mins KUL-LHR hell. Nice aircraft but if you have to fly economy thing again. Had more room on B767 for last leg of journey. This seat 20J is also close to the toilets and the flushing noise was apparent. DEL-LHR. Nice seats against bulkhead so no climbing over anyone else's feet to exit, and sleeping was very comfortable in the flat position. I wish seats weren't over wings for Club World. Serious pampering from crew, but never intrusive. Food good, especially light Indian meal before landing. Good smoked salmon starter and cold smoked duck salad for lunch. Snacks on all BA flights weak with Mars chocolates, potato chips, jelly babies and the like, but so much better than AA. This is well worth Club World fares. Seat 37F features the in-flight entertainment box at the passenger's feet which impairs legroom. This is the Dreamliner, aptly named. Seat 11F. Club World is made even better with this plane. Great service, great seat, great experience. Would absolutely do this one again! British Airways flies 1 versions of Boeing 787-9.